27 January - International Holocaust Remembrance Day. 70 years ago Auschwitz-Birkenau, biggest German death camp was liberated. This picture doesn't look horrible, there is no dead bodies, just a bunch of young Germans smiling because of a sudden rain. 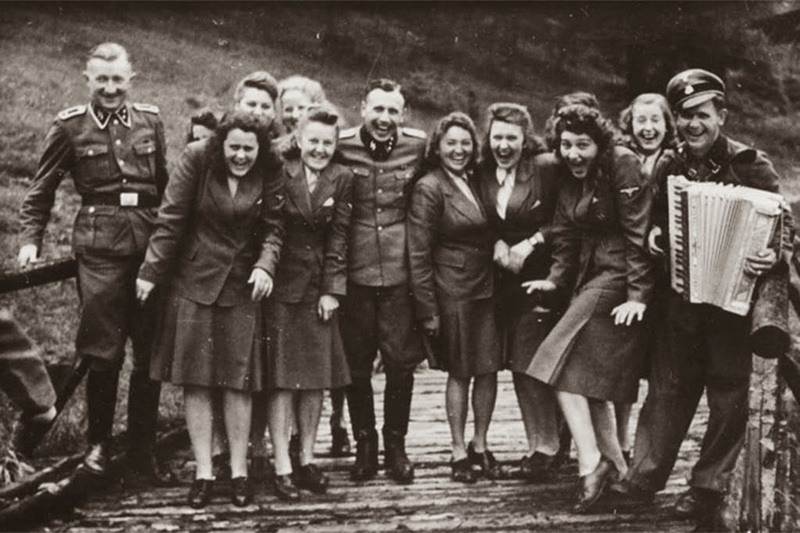 But in fact it is horrible, it's a picture of German women guards from Auschwitz with Karl Hocker in the middle (aide-de-camp of Richard Baer) relaxing themselves after a murderous, hard job. Picture were taken in a Solahutte, rest place for a death camp staff, 30 km south of Auchwitz.